The Work and Pensions Committee has criticised the government’s response to its report on childcare and Universal Credit, calling the comments “dismissive” and “disrespectful”. The committee’s report suggested that the government’s childcare policies can sometimes act as a barrier to work for those receiving Universal Credit. In January, the government responded to the report, the government cited its “£6 billion” spend on childcare in 2019-20 and called its current offer “comprehensive, broad ranging” and reflective of different family circumstances. But the committee has now expressed its “disappointment” with the response. 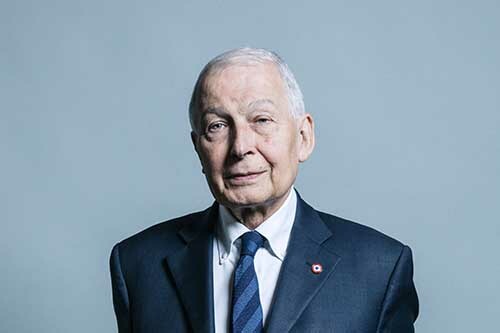 Frank Field MP, chair of the committee, said: “We on the Committee are frankly sick of these disrespectful Government responses that treat us like dirt and fail to engage with our robust, evidence-based conclusions. It’s not clear they’ve even read this one. “Worse, in responding this way, [the] government dismisses the experience and evidence of the individuals and organisations that have taken the time, and made the effort, and are working with us to try to fix the unholy mess that is Universal Credit. Neil Leitch, chief executive of the Alliance, commented: "The Committee is absolutely right to say it is ‘unacceptable’ that the poorest households are struggling with childcare costs while the government continues to subsidise households earning up to £200,000. “Whether or not government changes the eligibility criteria for these funded hours, they need to ensure funding covers the true cost of delivering them and that providers are not reliant on parents paying voluntary charges to pick up the shortfall." Angela Rayner, shadow education secretary, added: “The Tory cuts have meant that funding for Sure Start has collapsed. Over a thousand children’s centres have been lost and hundreds of libraries have closed. Despite the Prime Minister’s promises, austerity isn’t over for our children and those who most need extra support have been most likely to lose it.